After months of customer complaints, Nissan has announced that it will replace some defective batteries in its electric Nissan Leaf vehicles and offer expanded warranty coverage to approximately 18,000 owners in the U.S. Since May 2012, Leaf owners in hot-weather climates have complained of poor performance and battery capacity loss in the Leaf’s lithium-ion battery. Specifically, new warranty coverage plan will apply to all 2011-2012 Leaf models. The updated coverage offers protection against battery capacity loss in Leaf batteries that fall below nine bars on the vehicle’s battery capacity gauge. The new program, which covers five years or 60,000 miles, will go into effect this spring in order to give Nissan dealers adequate time to prepare. Owners of Leaf EV’s that fall below nine bars of the twelve bar capacity maximum will receive battery replacement or repair, free of charge. Nissan dealers will replace the faulty lithium-ion battery with a new or re-manufactured battery to restore the battery capacity to at least nine bars. 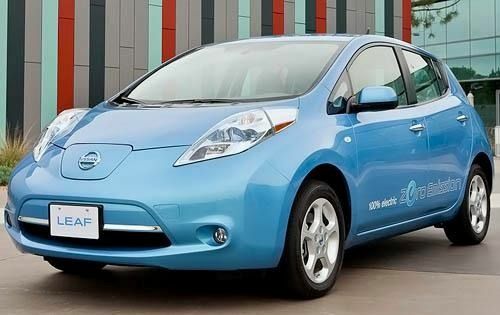 Furthermore, the new warranty coverage will also apply to the 2013 Nissan Leaf when it’s released next year. Despite the setback, Nissan is attempting to put a positive spin on the news. According to Andy Palmer, Nissan’s executive vice president, the automaker’s response makes it the first and only manufacturer in the industry to provide limited warranty coverage for battery capacity failure in electric vehicles. Nissan’s battery woes first became evident in May 2012 when multiple U.S. owners reported seeing just 11 of 12 battery capacity bars on the Leaf’s in-car display. In the months that followed battery loss claims worsened with some owners reporting losing two, three, and in some cases, four capacity bars. Based on the complaints, it soon became evident that battery capacity loss was regulated to hot climate regions, particularly in Texas and Arizona. Nissan responded to Leaf owners’ claims by publically stating that there was “no problem.” The automaker also claimed that customer complaints had to do with instrument problems and not the Leaf’s lithium-ion battery. Aside from battery capacity problems, the Nissan Leaf has sold just 8,330 vehicles this year, a 4.5 decrease compared to last year. With this in mind, Nissan has been presenting significant discounts in order to spur Leaf sales. In October, Nissan began offering Leafs for just $219 per month with $2,999 down for 32 months, which represents a $30 discount. The automaker also announced last week that it was discounting 2012 Nissan Leaf models by $10,000 in an attempt to sway last-minute car buyers before the New Year.